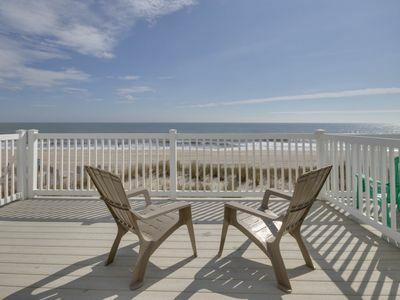 North Ocean City Beach Paradise! 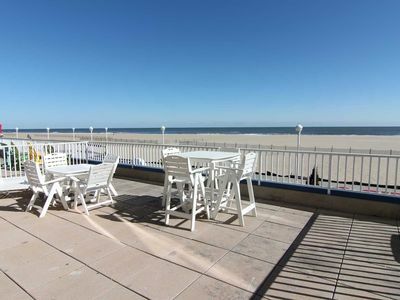 The Ultimate Ocean City Beach Paradise awaits you! 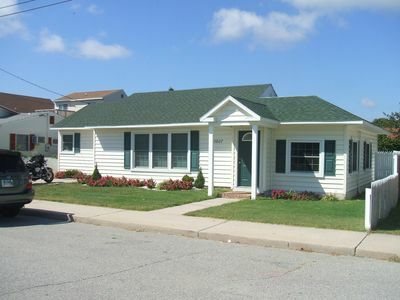 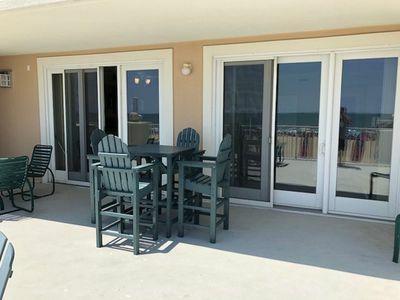 This 3 bedroom single family home sleeps 10 and is just a short 5 minute walk from the Ocean and all the amenities of North Ocean City and Fenwick Island. 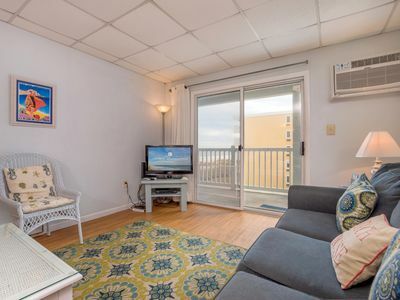 You are within a 5 minute walk to the beach, the Fenwick Boardwalk and Light House, all the bay water sports and restaurants of North Ocean City and Fenwick Island are all right down the street. 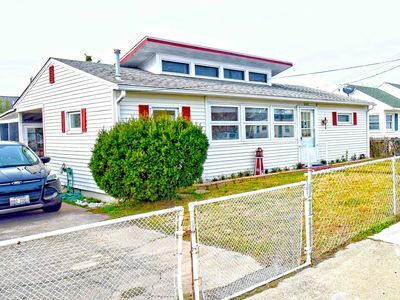 Why settle for a crowded condo when you can enjoy a spacious beautifully decorated single family house on a lush large landscaped lot. 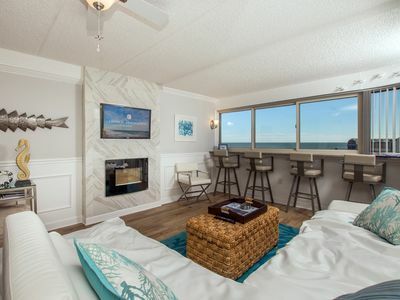 The house features two large sun decks, a gas grill, large dining area and modern kitchen and spacious living room. 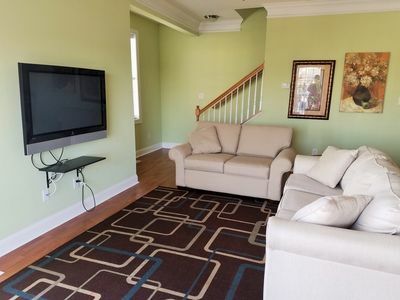 There are three bedrooms and a sleeper sofa in the living room so 10 guests can sleep comfortably. 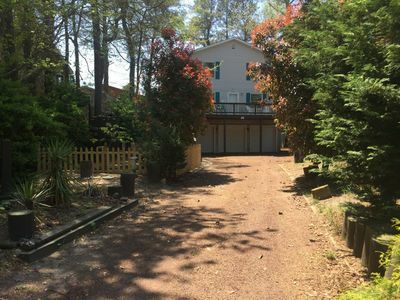 The yard is a tropical island inspired, Maryland Eastern Shore pine forest, with towering trees. 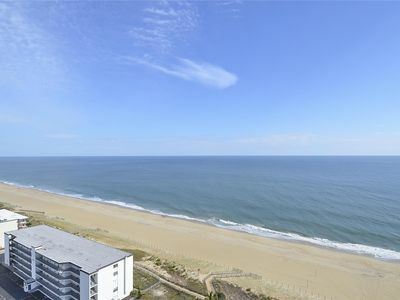 If you enjoy bike riding this is Ocean City's best location for it! 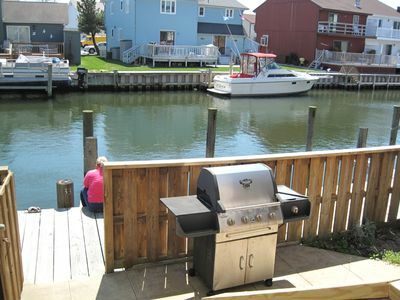 The beautiful neighborhood is lightly traveled and the trails of Fenwick Island are all nearby. 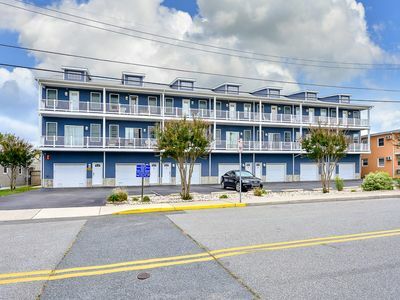 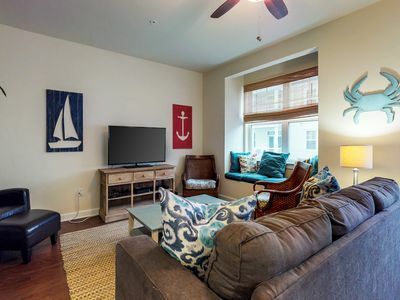 Both the Ocean and the bay are a short 4 blocks away so once you park the car forget it and enjoy your proximity to both the best of Ocean City and Fenwick Island amenities! 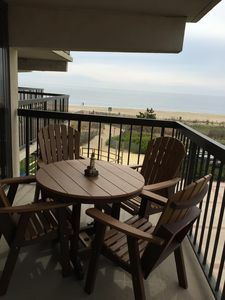 Direct Oceanfront in North OC - Great Views from Floor-to-Ceiling Windows! 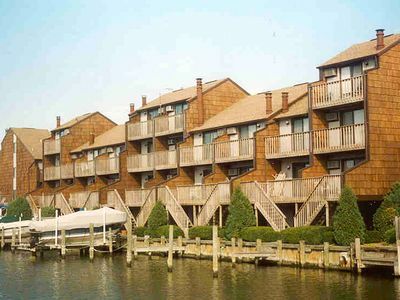 Harbour Bay 23-Baywater 116th St, Pool, W/D, AC. 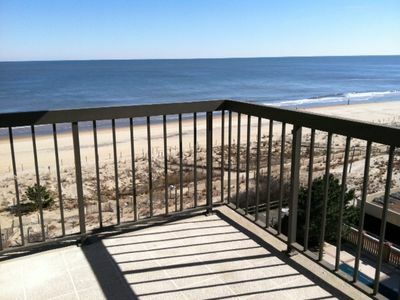 FREE DAILY ACTIVITIES AND BREATHTAKING OCEANFRONT VIEW!!! 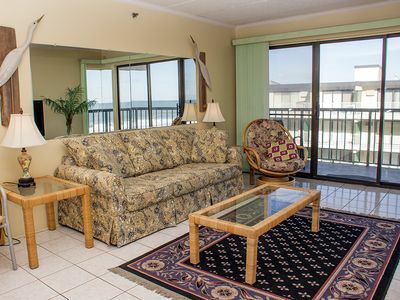 FREE WIFI & MINI-WEEK GETAWAY!!! 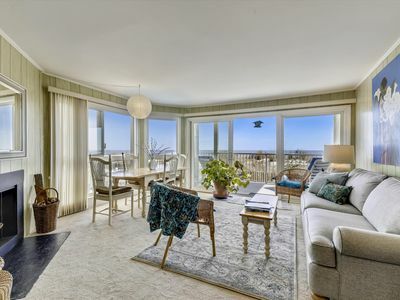 Spacious 2 Bedroom With a Breathtaking Oceanfront View! 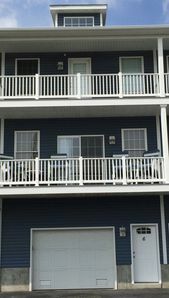 Large 4 BR Townhouse That Is Close To The Beach, Boardwalk and Fun! 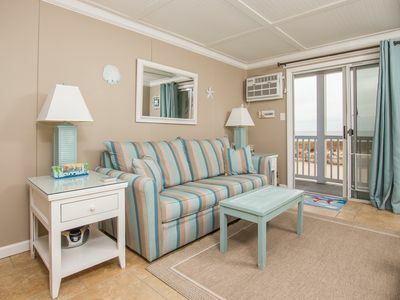 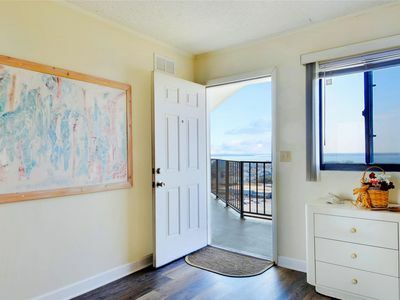 Enjoy this stunning ocean front studio perfect for a small family!